Tee's Blurbs: Beauty Finds: Happy Skin for my Happy Skin! I have been wanting to get my hands on Happy Skin Cosmetics' product line ever since they launched late last year. Unfortunately, they were not available in Singapore yet and I wanted to try and swatch first before purchasing. 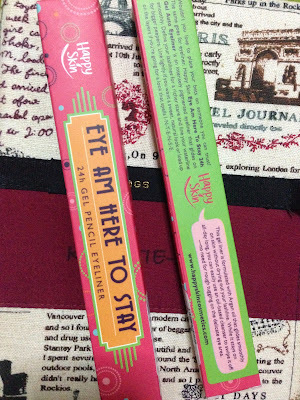 I first tried the Eye Am Here To Stay eyeliners in Chic Brown and Peppermint which Jen so kindly got for me from the Philippines. And boy, was I hooked. I am pencil kinda gal, and this product is a hybrid gel/pencil liner but it didn't disappoint. Easy to apply and build on, No more tugging and tugging as with the other stubborn liners. HappySkin says: Happy Skin Eye Am Here To Stay 24-Hour Gel Pencil Eyeliner is an intensely pigmented eyeliner that glides on smoothly. Define your lashlines for a richer stare and line your waterline for bigger peepers. Finally, a trip to the Philippines and a haul later, here we are with the rest of the products I got to try. 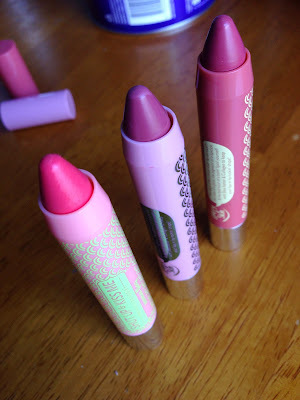 I got to finally try the Shut Up and Kiss Me Lippies. These lippies really got a thumbs-up for pigmentation and the colors are so wearable and buildable. A small dab goes a long, long way. I find that the lippies lack the moisturizing part, though. I need to put on some balm before applying otherwise they'd turn out to be flaky and drying on my lips. Not sure if it's just me, or because of the cold winter weather. Shut Up and Kiss Me lippies in Summer Fling, Morning After, Honeymoon Glow. HappySkin says: This lippie offers three-fold "lip service": the shine of a gloss, the pigment of a lipstick and the hydration of a balm! Spoil yourself with Shea Butter and Collagen to keep your lips in lip-lockin' shape! 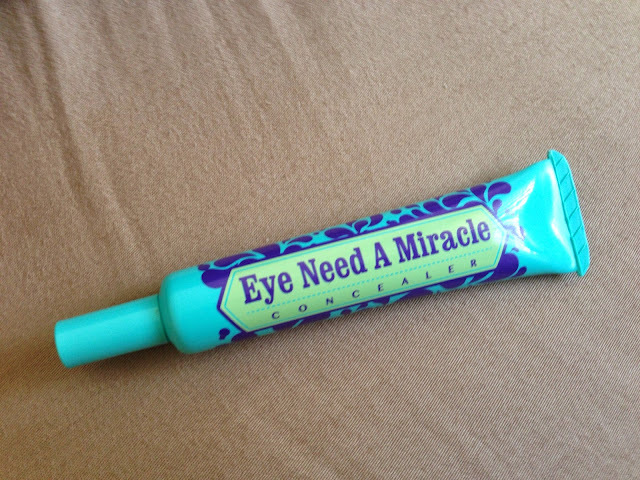 Lastly, the Eye Need A Miracle concealer. I didn't realize how finding a good concealer can be such a daunting task for me, it's either I try ones that are drying, flaky and for the lack of description: ones that make your undereye area look eerily bright and white! So this product is a spot-on: easy to blend, silky feel and it does the job really well with just a couple of drops. It blends perfectly with my base and skin color too! HappySkin says: This concealer is specially-formulated with Japanese tea extract that moisturizes and fights puffiness. It's also infused with Hyaluronic acid, a miracle ingredient that increases hydration in the eye area, smoothening surface imperfections. Its self-adjusting shade provides undetectable coverage across all skin tones. I admit the packaging and smart product naming was what got to me first - it was smart, pretty, girly, fun and flirty. Then the product raves and reviews went on and on about the products and that's when I was really curious to try. Well I am happy I did. The packaging may be happy, vibrant and pun-ny, but the products are worth the hype and buzz they are making. Yes, they are darn serious about skincare too with special and only the finest ingredients are from Japan targeting to make skin happy.